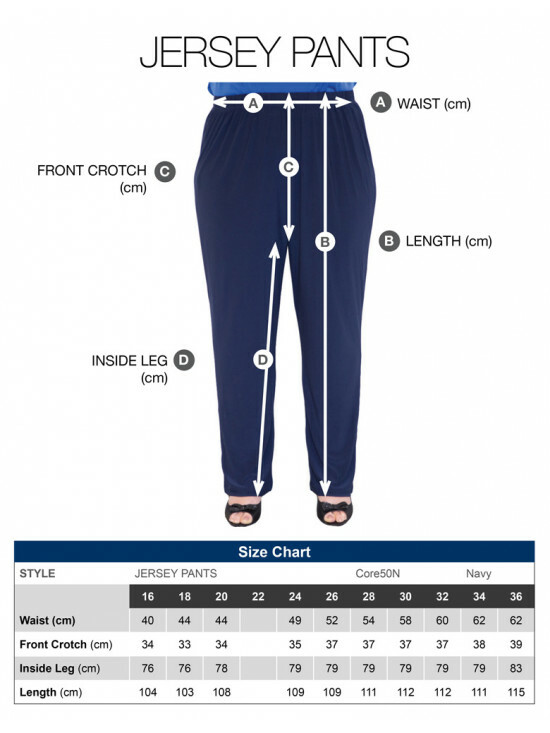 Soft lightweight jersey pull-on pant with full elastic waist. Mix and match with items from our range or team it with any of the beautiful prints from this season. Perfect elegant shape, stylish and versatile. Available in Navy Blue and Black.